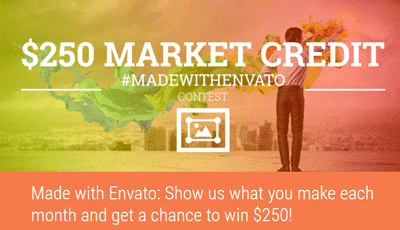 Made with Envato: Show what you make each month and get a chance to win $250! PhotoDune, an Envato marketplace, are offering royalty-free stock photography. Get high quality images from $1 only and choose your favourite stock photos from these categories: Animals, Architecture, Business, Food, Health, Sports, People, Technology and Travel.